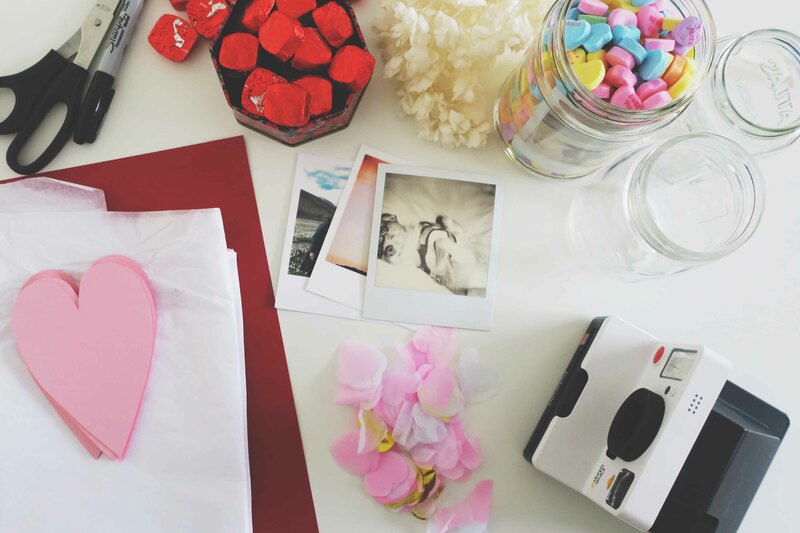 We absolutely love a giant cardboard heart filled with chocolates or a bouquet of red roses as much as the next person... but it really does feel amazing to receive (and give) something perfectly unique on Valentine's Day. Something like a Polaroid photo that you can hold on to. We decided to make a couple different DIY memory jars this year. Each one specific to the person we love. Whether it is for Valentine's, Galentine's, or whatever you want it to be. - Polaroid photos of your favorite people, pups, places, etc. 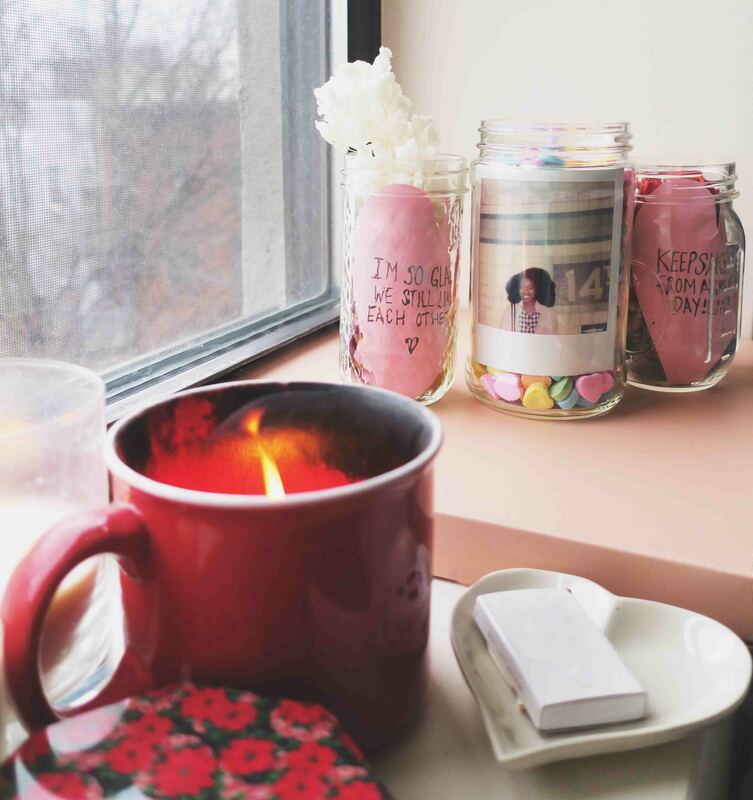 - Things to put in your jar: mementos, candy, confetti, flowers, etc. 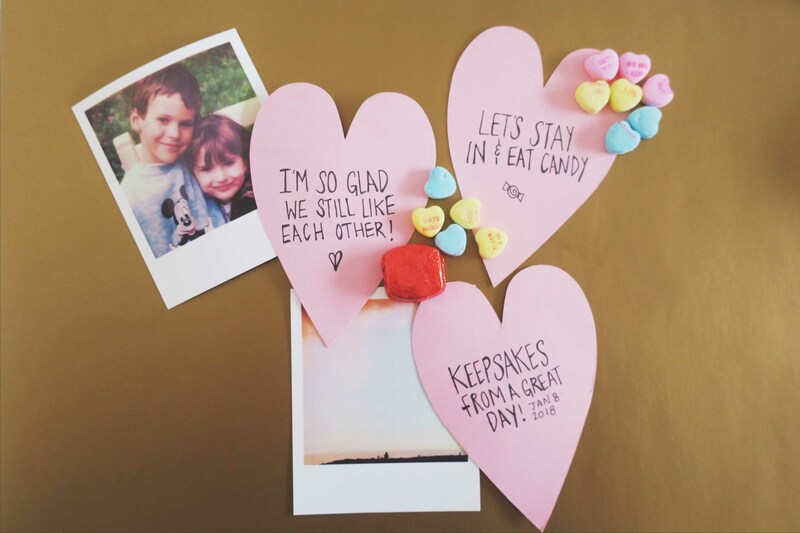 Once you have your photos picked out, you can also make a card to include in the jar. Or you can skip this step if you would rather just have a photo. 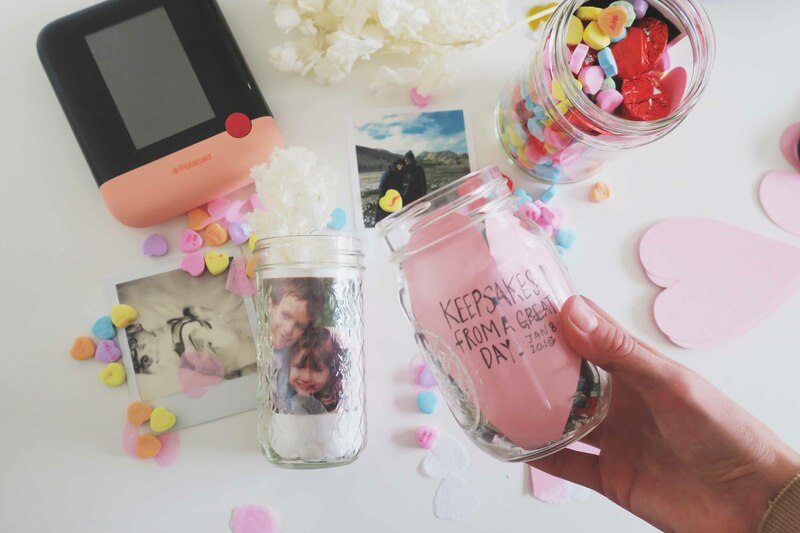 Then put your photo and card in each jar. Many jars have designs or writing on them, we have a diamond one pictured here that looks nice, but it is easier to see the photos with just glass ones. Next, start filling! 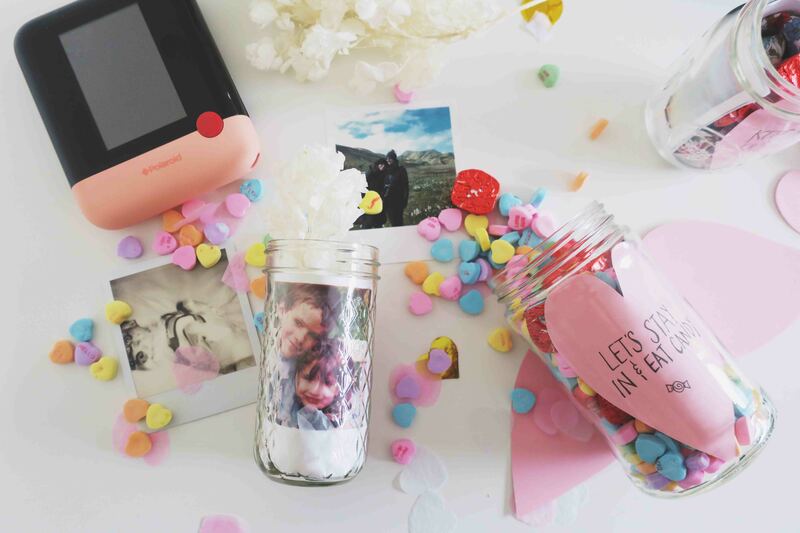 We made one candy jar, one filled with confetti and flowers, and one filled with keepsakes. Capture those feelings from the instant you took the photograph and bottle it up to make it last. Happy Valentine's Day!